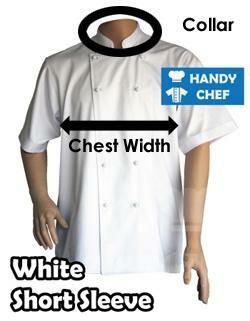 "Our staff is very happy with the comfort and fit of the Handy chef jackets. We're also more than happy with the excellent customer service from Handy chef in having our logo embroidered onto the jackets - the quality and finish is most pleasing, while their prices are more than reasonable. They're certainly a preferred supplier." “I just wanted to say a big thank you for sending me the chef aprons I ordered – they arrived super quick, they are very high quality and perfect. I am extremely satisfied and very happy with my purchase..” Thanks very much!" "I'm really happy with your service, quality and affordable price for your coustomers. The uniforms are much comfortable for work and they are really better Australian standard chef gears. Keep it up your good work and wish you merry xmas and happy new year. Lend Lease Brighton East VIC. "Just wanted to say a big thank you for the fantastic service you have provided. I've been buying my husband's chef clothing from you for some time now and wouldn't buy anywhere else! Good prices, great selection of items and super fast postage keep me coming back. So thanks again and keep up the good work!" "Just thought that I would let you know that our granddaughter, who likes cooking with her mother, wore the junior chef Hat & Apron to school for 'French Day' and it was judged the best costume in the class. In itself that does not mean much but it has done wonders for her interest in school. Thanks for the rush job you did in getting the costume to us." "I was pleasantly surprised to find that the quality of these chef jackets was first rate and at a most reasonable price! Thank you." "I've finally found a supplier in Handy Chef that delivers good looking and comfortable chef coats at an affordable price!" 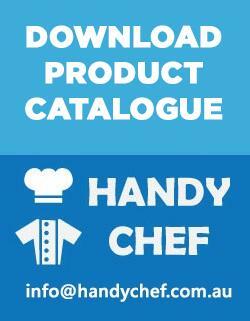 "The Handy Chef gear is attractive and most comfortable to wear, at a very reasonable price!" Handy Chef is a direct off-shoot of family-owned hospitality chef uniforms manufacturing business that has the mere purpose to ensure that restaurants and hotels can get what they truly want as far, as their Chef Apparel needs are concerned. We use a number of reliable delivery networks throughout Australia to ensure fast and dependable deliveries to our esteemed clients. © 2018 Handy Chef All Rights Reserved. Phone: +61 3 9717 0359. 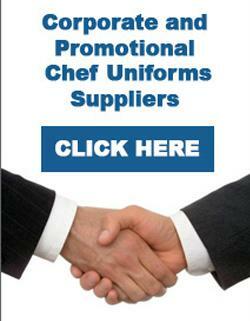 Quality chef uniforms direct to public at wholesale prices.